What a beautiful spring we have had. Thanks, Mother Nature, for making up for a horrible winter. My heart was full of empathy for all of you living in the East. I hope your summer shines bright on your gardens and on your lives. I have greatly missed seeing all of the new friends Ted and I made on our East Coast tour two years ago. Many thanks to those who have stayed in touch. I appreciate all of your continued hard work. It was great to see everyone at my birthday party at the club. Thanks very much for the wonderful evening. The food was fantastic and Jai’s Black Forest cannabis cake was absolutely unforgettable. A thing of veritable beauty, and medicinally mind melting. Yummm! While people were passing out and going home, I was just getting ready to dance. Boy I can eat a lot of pot and still function. April 20 seems to be gaining momentum around the globe. We had another great day here in Victoria, as did most cities across North America. 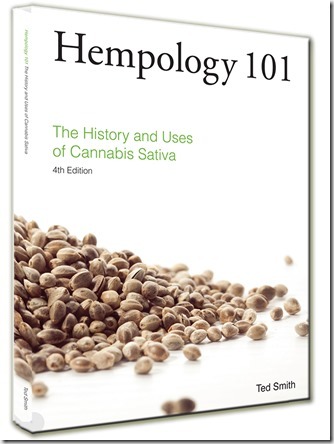 The Hempology 101 gang is forging ahead with REACH FOR THE POT, this year without Ted. They are planning a tournament as usual. I hope everyone is having as much fun as Ted and I did. Shows are still being posted online on our Youtube page. Ted has launched a daily blog to keep the Cannabis Digest more current. We have several regular scheduled bloggers with a surprise guest writer adding in an extra blog once a week. Things are happening too fast to keep up-to-date any other way. Speaking of the Cannabis Digest, did you noticed we increased in size again? I thank all the loyal supporters for reading, writing and advertising. It is certainly grooving into something magical. 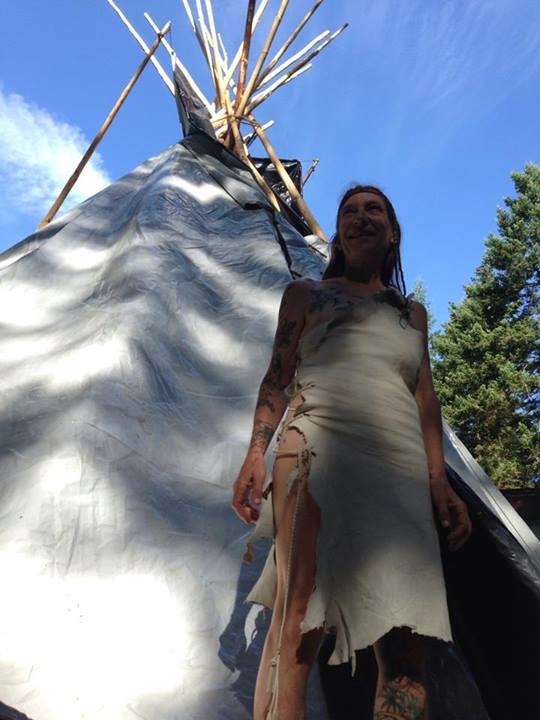 From tiny seeds, tall trees grow. 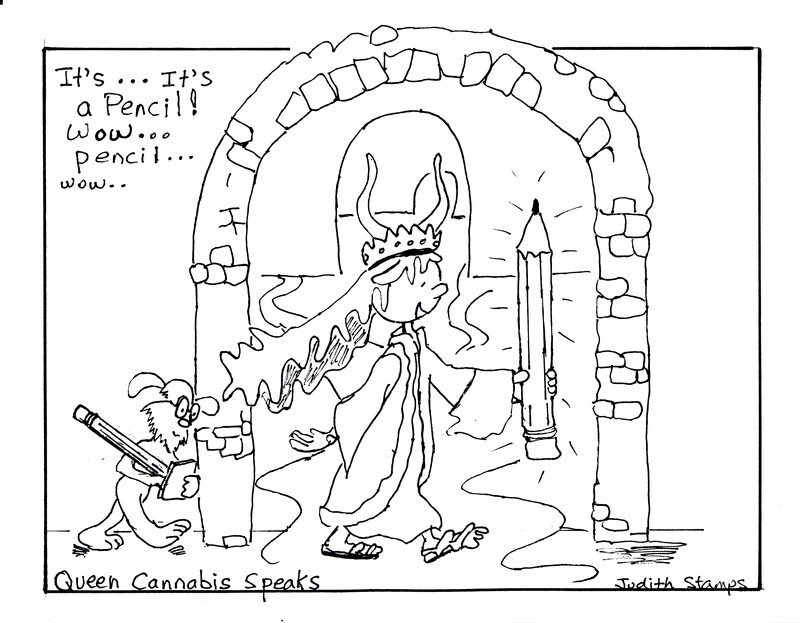 Wishing everyone had a merry Cannabis Day, too. 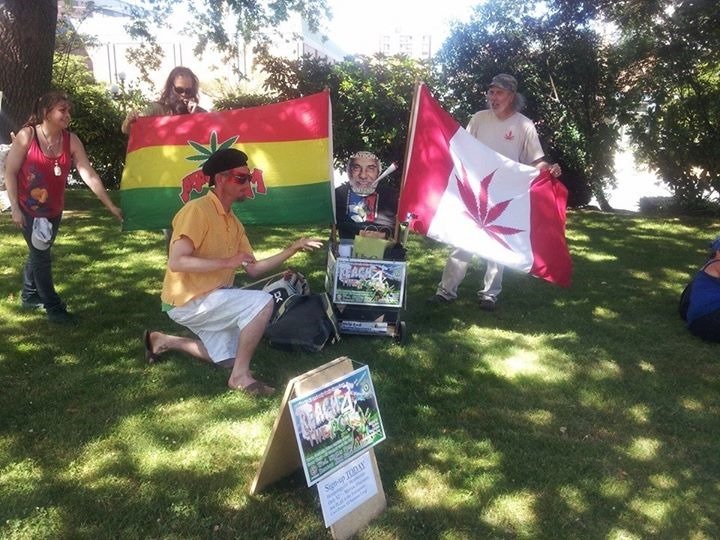 Hopefully all went well hot-boxing at the Courthouse and playing REACH FOR THE POT in Victoria. Lets all be good Canadians next year and vote Harper out in the next election, eh? The VCBC has been hosting a games night on the last Thursday of each month at 7:30 pm. It is definitely drop in, turn on and get ready to laugh a lot with good friends. There is a wide variety of games available, and more have been donated, so it is different every month. Otherwise the summer is going to be fairly quiet, with all of our travel plans put on hold for now. I am finally feeling like I am winning with my health but time will tell. Thanks for all of the love, care and concern I receive every day. September, though, September will be another story. 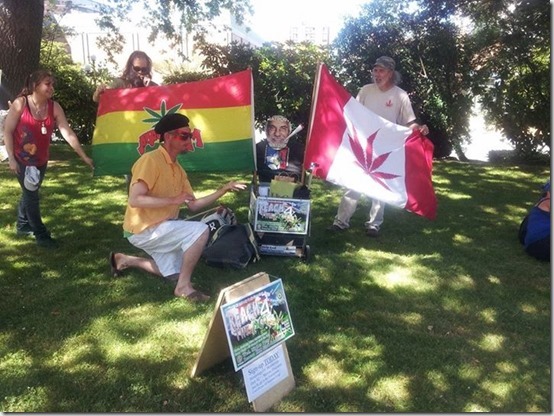 Hempology 101 will be celebrating its 19th anniversary with its regular march from City Hall to the Legislature on Wednesday Sept 3, starting at 7 pm. 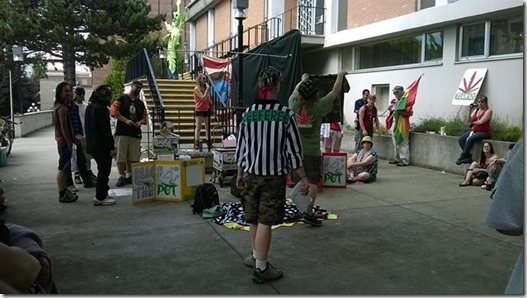 September also sees the beginning of school, and therefore the resuming of the 420s at the University of Victoria on Wednesdays, as posted on facebook at UBC. 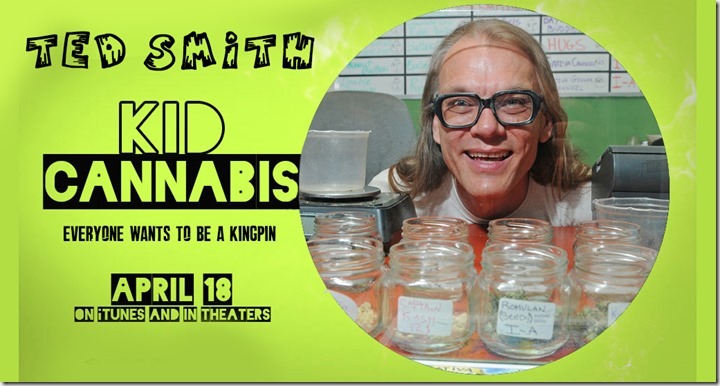 Ted will not be doing the lecture series this year, but he is making a series of videos about HEMPOLOGY 101:THE HISTORY AND USES OF CANNABIS SATIVA. You can watch it online on the Hempology 101 Youtube channel. On Tuesday October 7, the International Hempology 101 Society will be holding its Annual General Meeting at 826 Johnson St, starting at 7:30. If you are interested in helping us you can come to a monthly meeting of the board of directors, which is usually the first Tuesday night of each month. 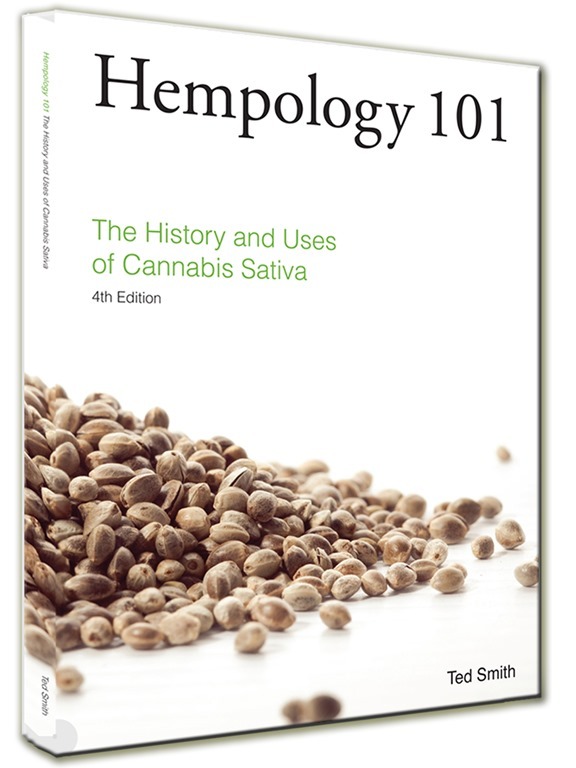 Minutes are posted in the Hempology 101 section of the Cannabis Digest online forums. Do not forget, the VCBC`s AGM in November. Nominations will start being accepted in August. The exact time and place of the AGM will be announced later on the VCBC webpage and in the next issue of the paper. I hope your gardens bloom bright and dank. Thank Mother Nature and the Universe for the wonders we behold every day, and know I love you.